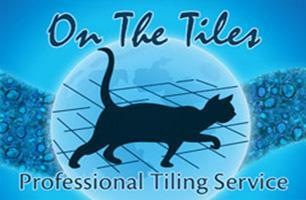 On The Tiles (Hillingdon) Ltd - Carpets/Flooring, Tiler - Tiling based in Ruislip, Middlesex. We are a small team of 5 fitters who have worked together for many years. We have been trading under the same name and number for over 17 years. On The Tiles offer a professional tiling service that includes all aspects of domestic and commercial tiling work. We specialise in the very highest quality tile installations and have all the experience and eqipment to handle all of the modern materials from ultra large format porcelain right down to micro mosaics (and of course everything inbetween). We offer a service without compromise, if the substrate is defective then we will rectify it before proceeding. All work is guaranteed for 5 years. Initial quote/consultancy is free and without obligation.